Master’s degree in Science in the subjects of Electronics or Physics. (f) Flight Operations department of a scheduled airlines. Note 1 (i) The period of required experience may also be considered by combining experience in more than one field listed above. (ii) The period of actual training in any of the specialized area as specified in (B) above may be counted towards experience provided that such benefits will be restricted to a maximum period of one year. Note 2 Qualifications are relaxable at the discretion of the Union Public Service Commission in case of candidates otherwise well qualified. 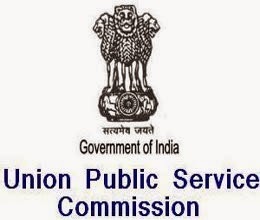 Note 3 The qualification regarding experience is relaxable at the discretion of the Union Public Service Commission in the case of candidates belonging to Scheduled Castes or Scheduled Tribes, if at any stage of selection, the Union Public Service Commission is of the opinion that sufficient number of candidates from these communities possessing the requisite experience are not likely to be available to fill up the vacancies reserved for them.